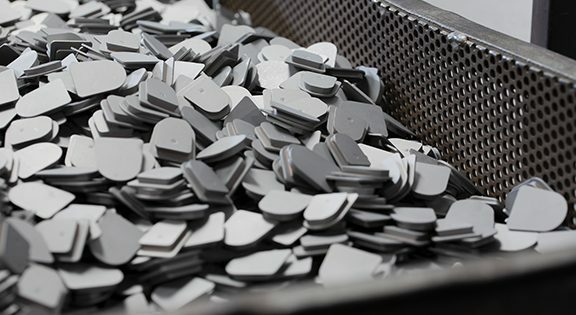 RIE offers many types of hand spray processes for large or specialty parts that cannot be bulk processed. RIE is one of the few coaters to rack and spray washers to achieve smooth, even finishes that also results in zero part rejection. Smaller washers that have been dip spun tend to nest, or stick together. In some cases up to 50% can be stuck together after this processing. 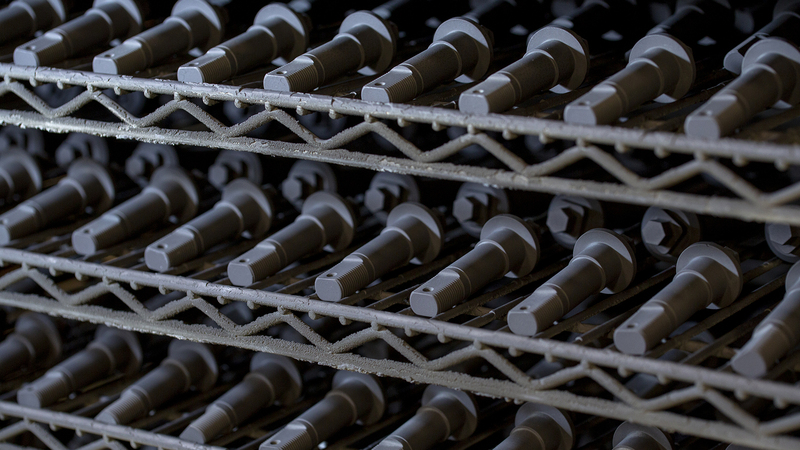 Rack and spray applications ensures quality coatings without lost product. 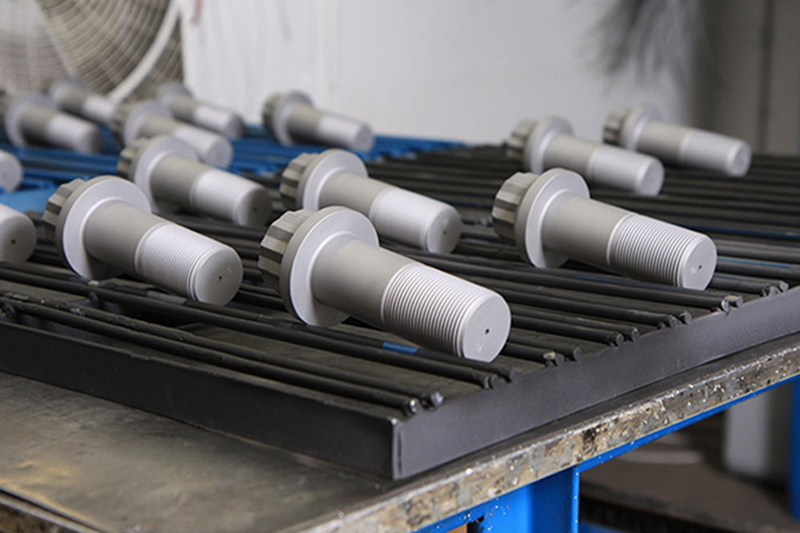 Some parts may fit perfectly in the dip spin machines, but to avoid thread damage or touch marks they are hand sprayed. This includes double ended studs, like the ones used in the wind industry. RIE has also hand sprayed large 500 plus pound cylinders used in the oil and gas industries. RIE will hand spray several hundred million parts annually. 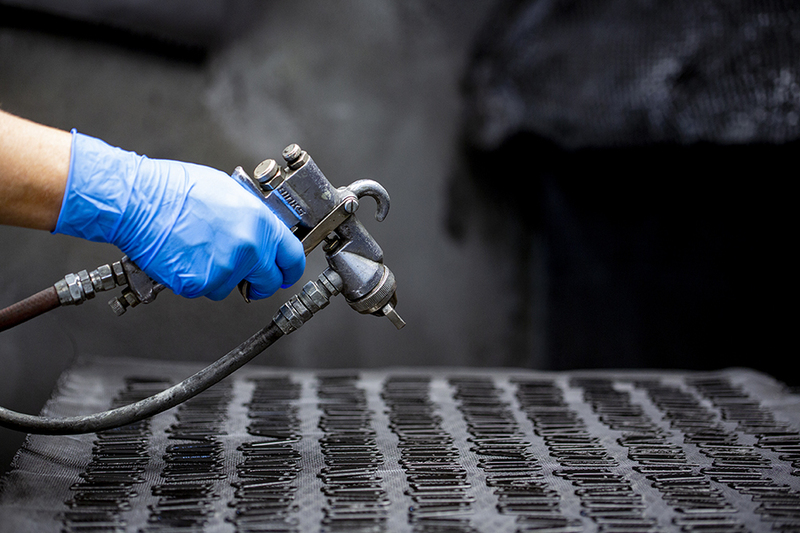 Hand spraying helps ensure a quality coating with no part rejections.